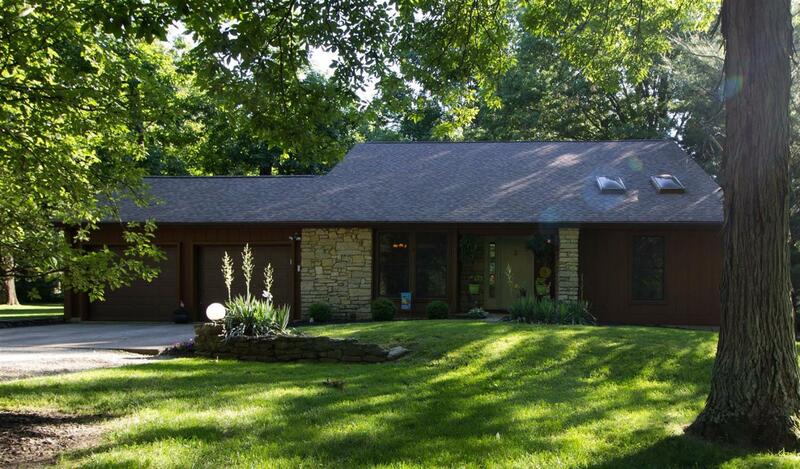 Exceptionally maintained Cedar and stone transitional home on 1+ wooded acre. First floor master w/remodeled bath and walkout to 14x11 deck. Wood fireplace in walkout family room to 21x10 deck. New hand scraped eng. Harwood floors in 1st floor, skylights & balcony over formal Living room. Finished LL with booths, pool table and bar.